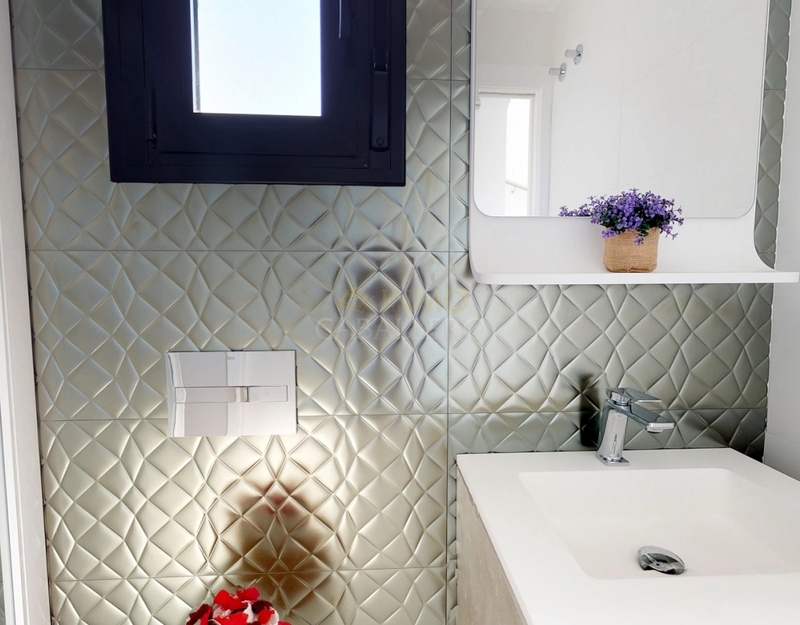 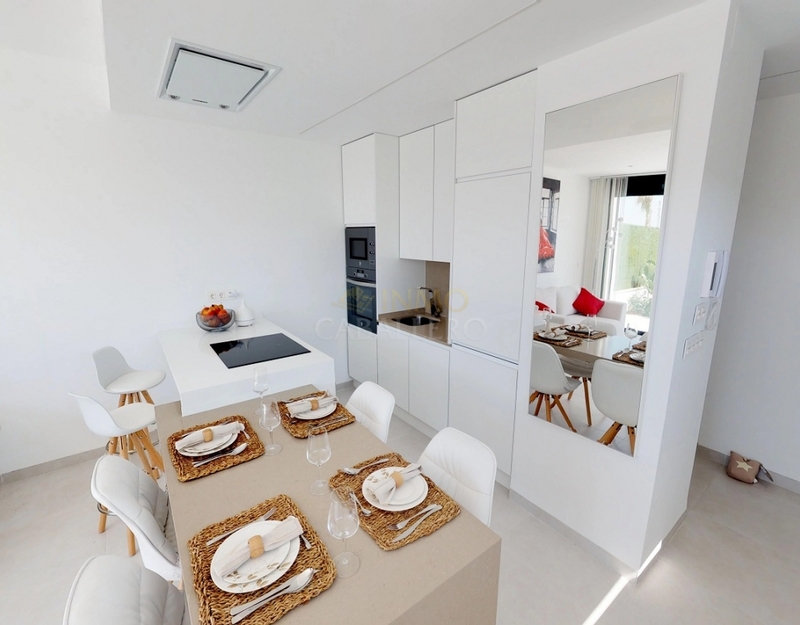 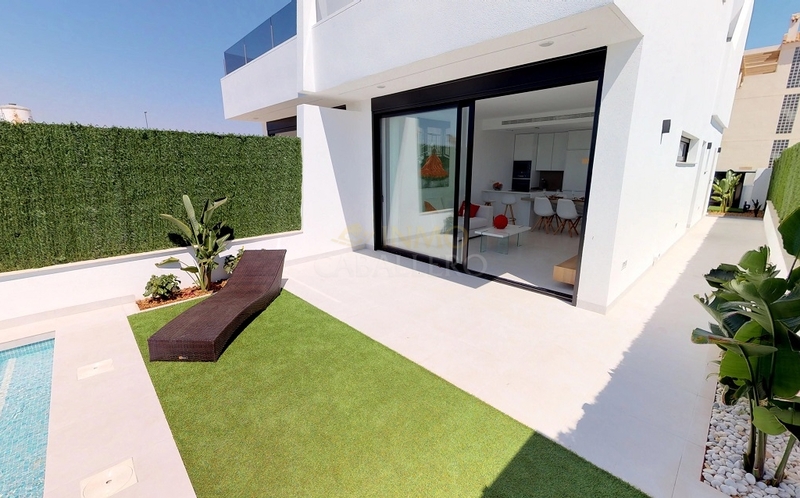 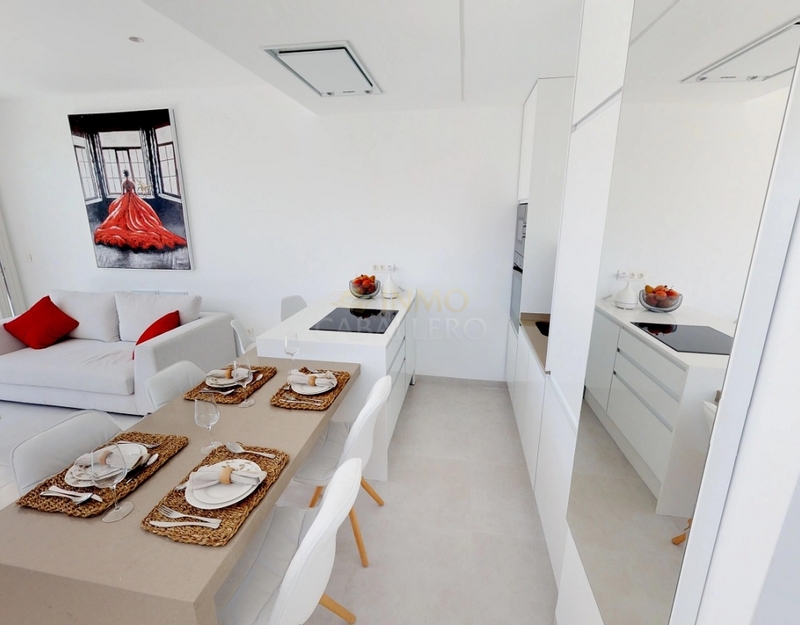 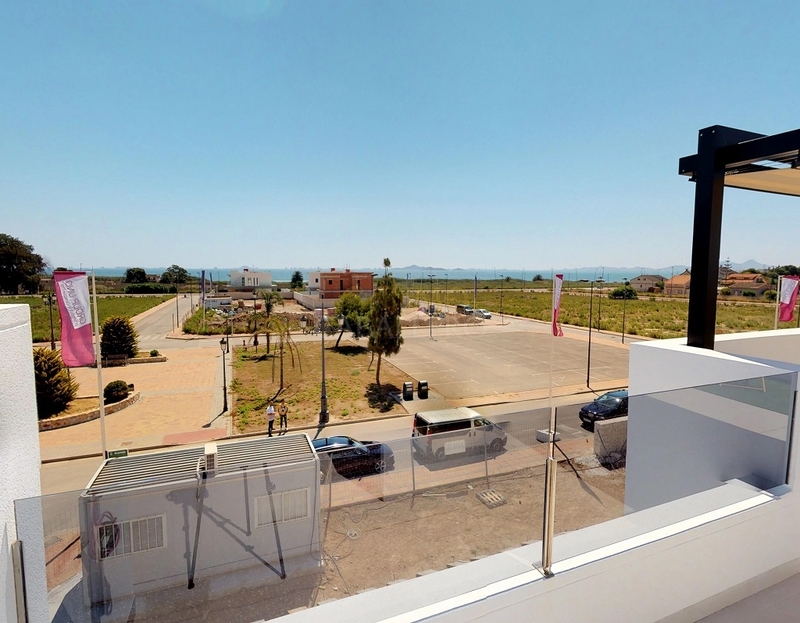 Located 650 meters from the beaches of the Mar Menor in Los Alcazares. 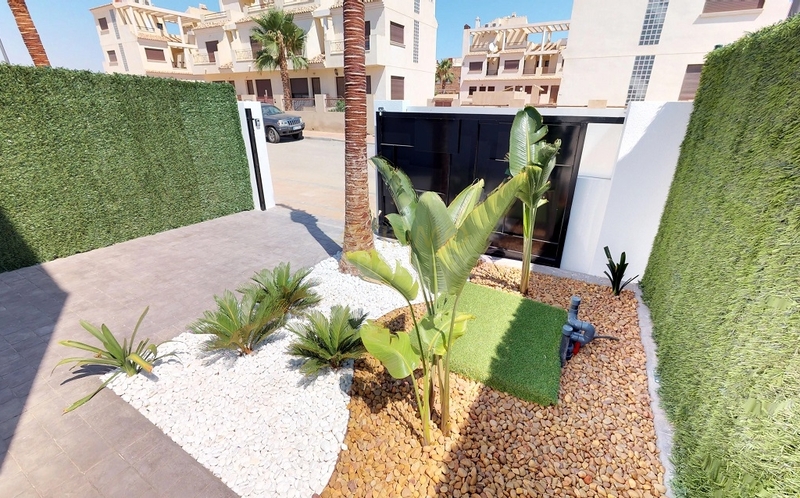 Pleasant semi-detached house with 3 bedrooms, 2 shower rooms with private pool and parking space. 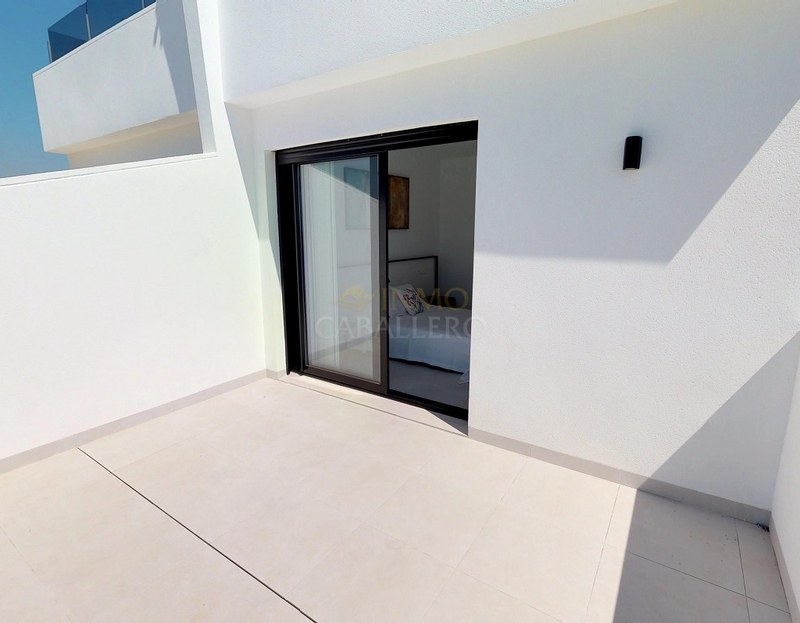 It consists on the ground floor: a bright living / dining room with access to the pool terrace, 1 kitchen, 1 shower room, 1 double bedroom with wardrobes and 1 storage room. 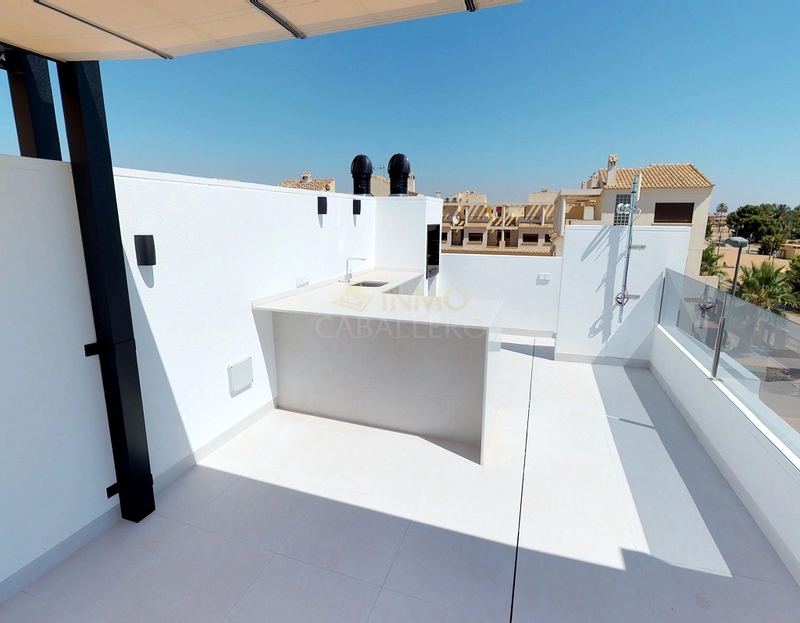 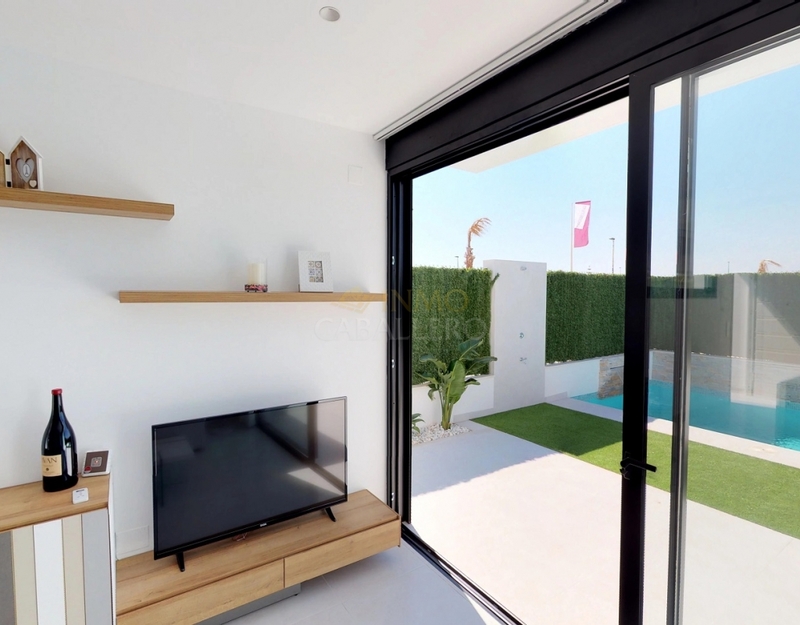 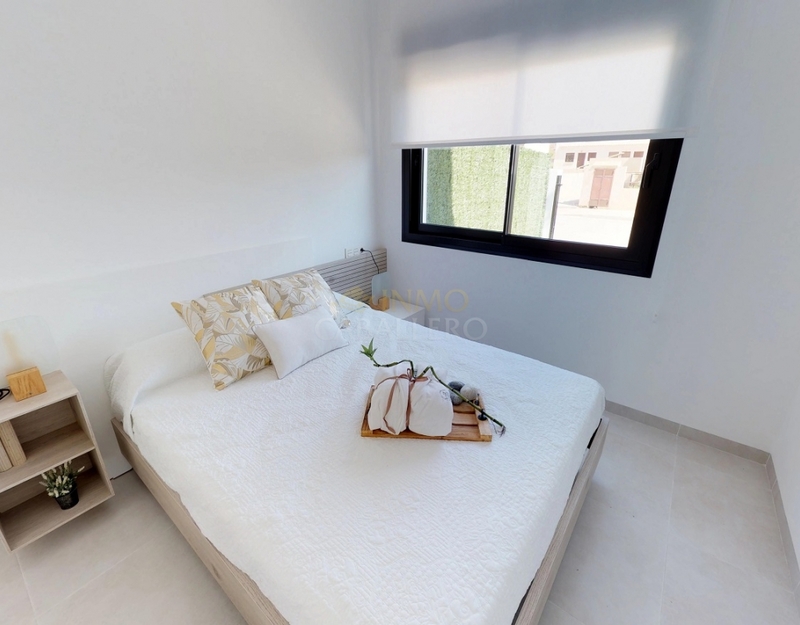 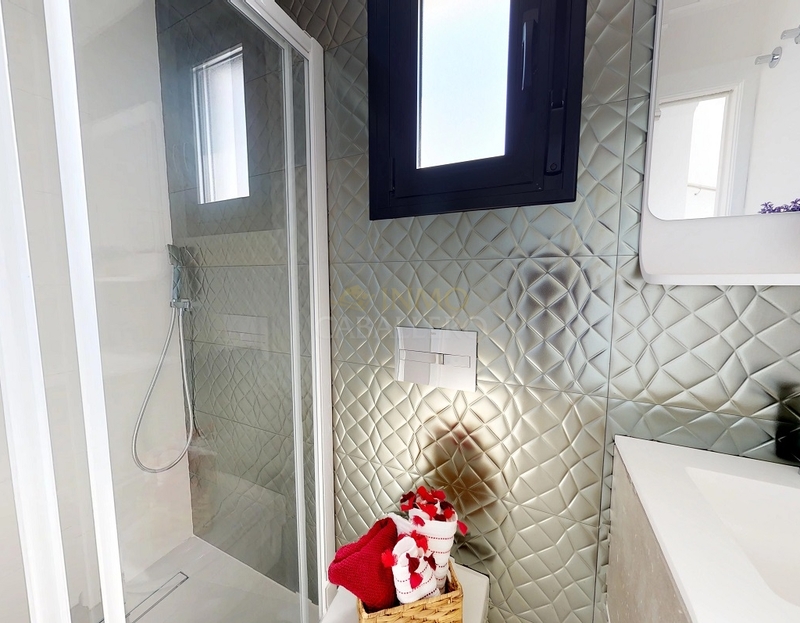 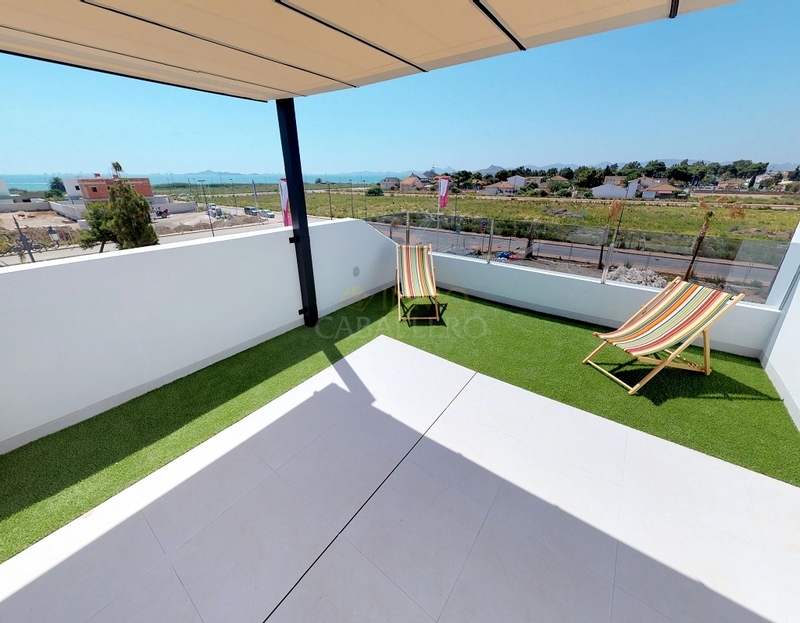 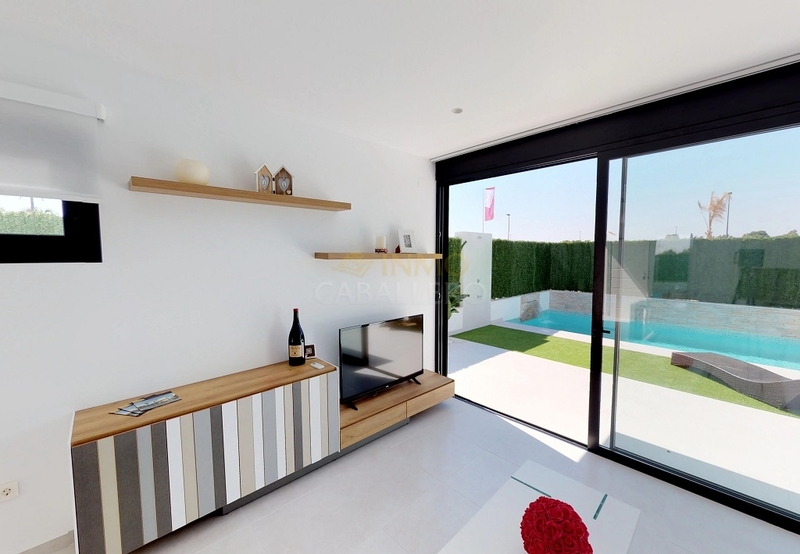 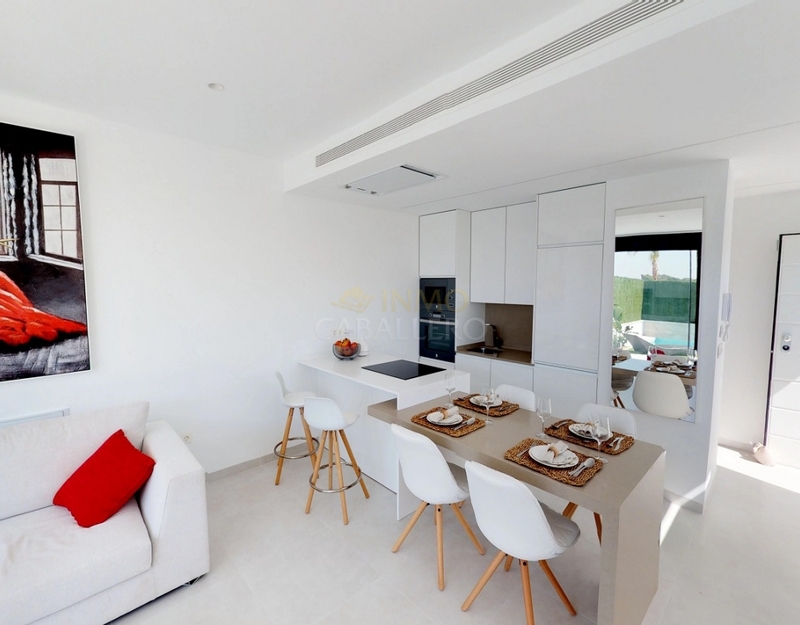 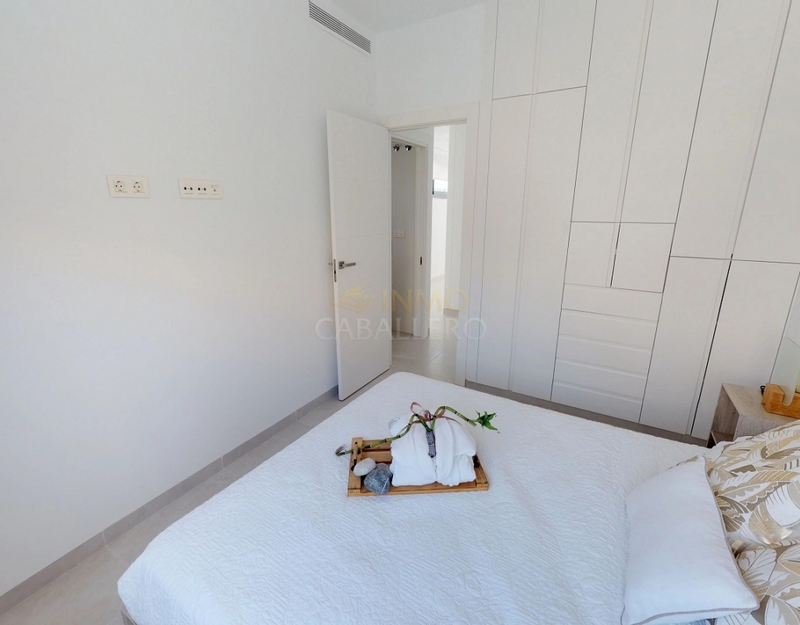 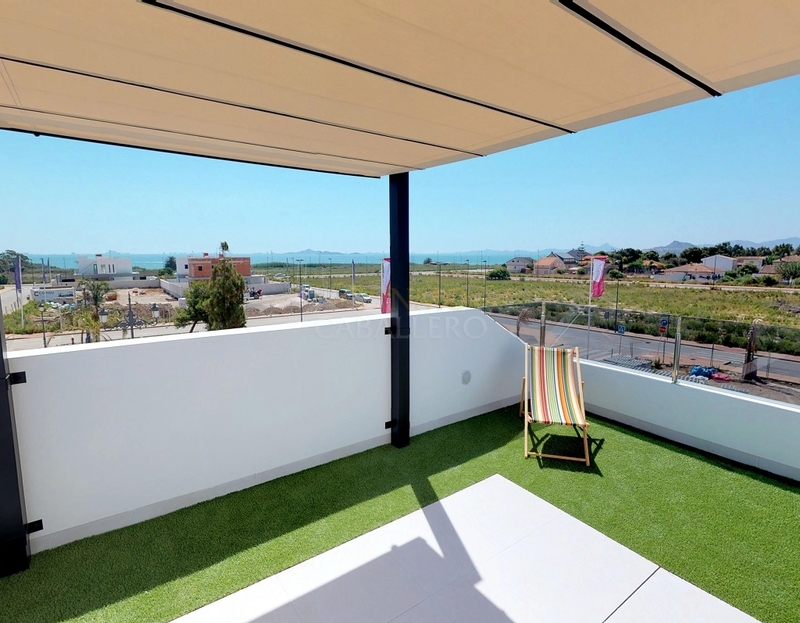 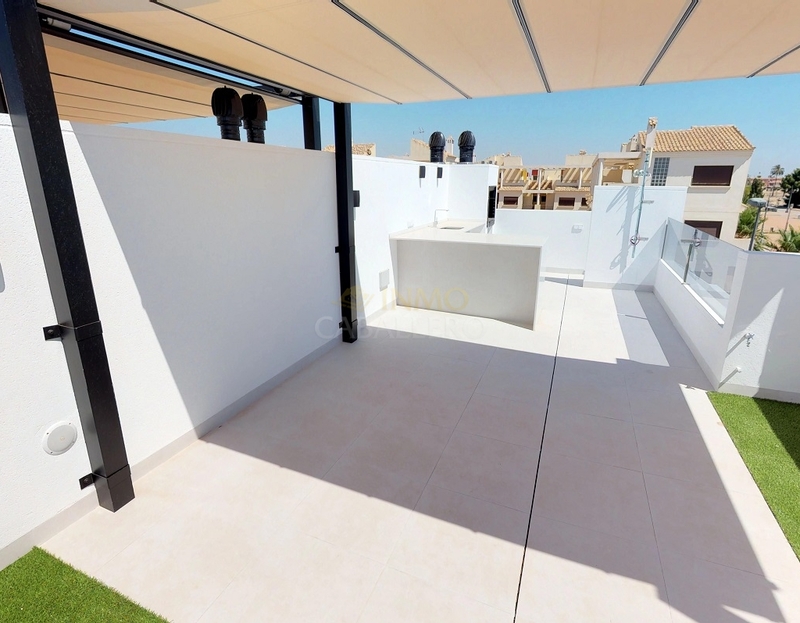 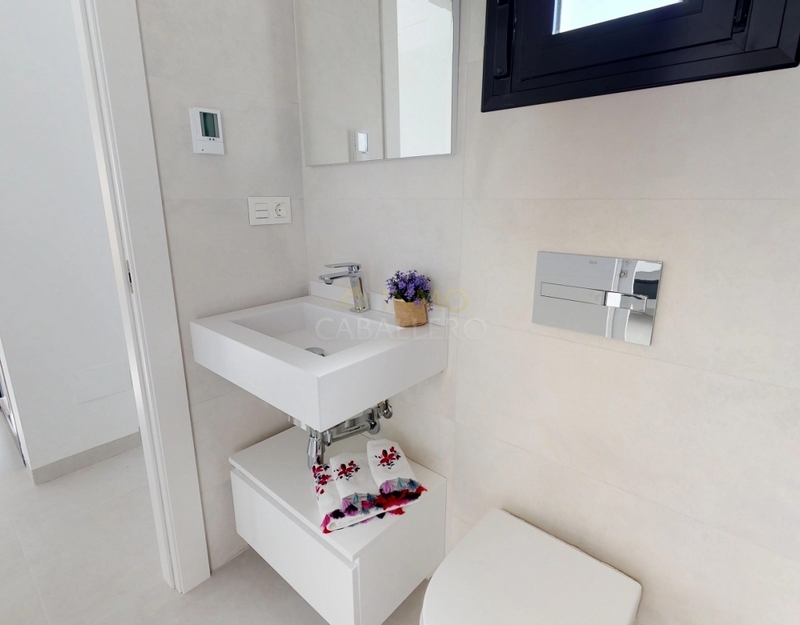 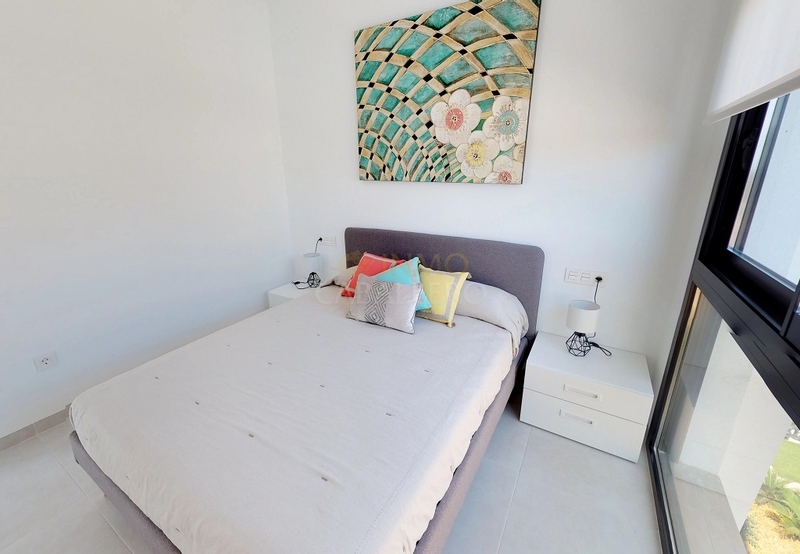 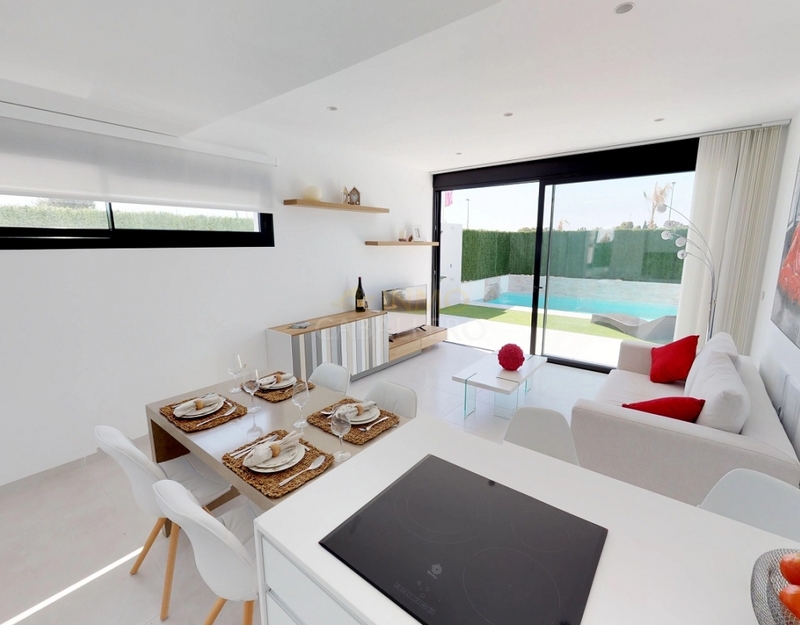 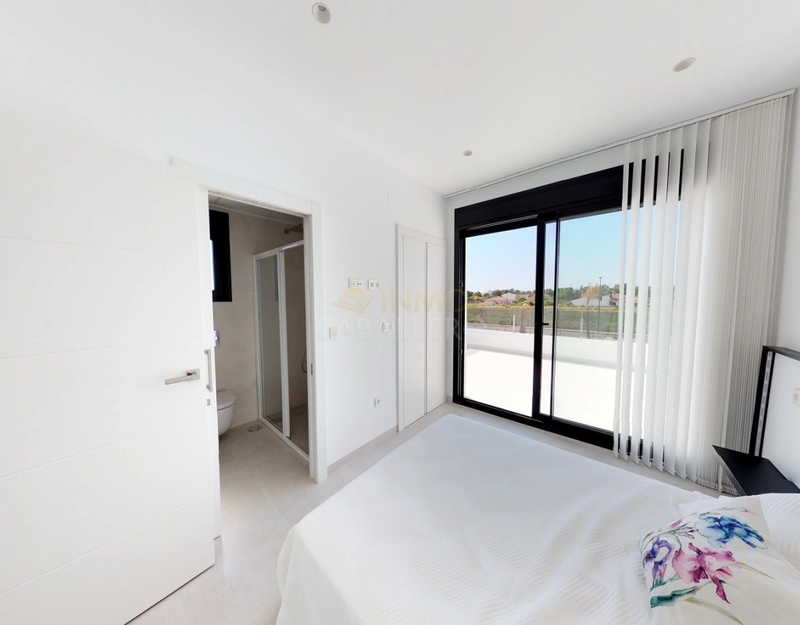 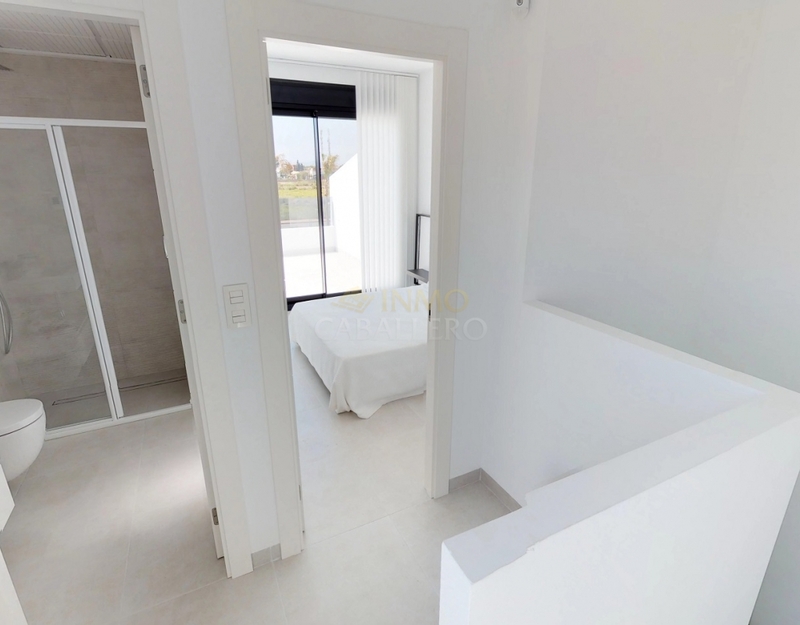 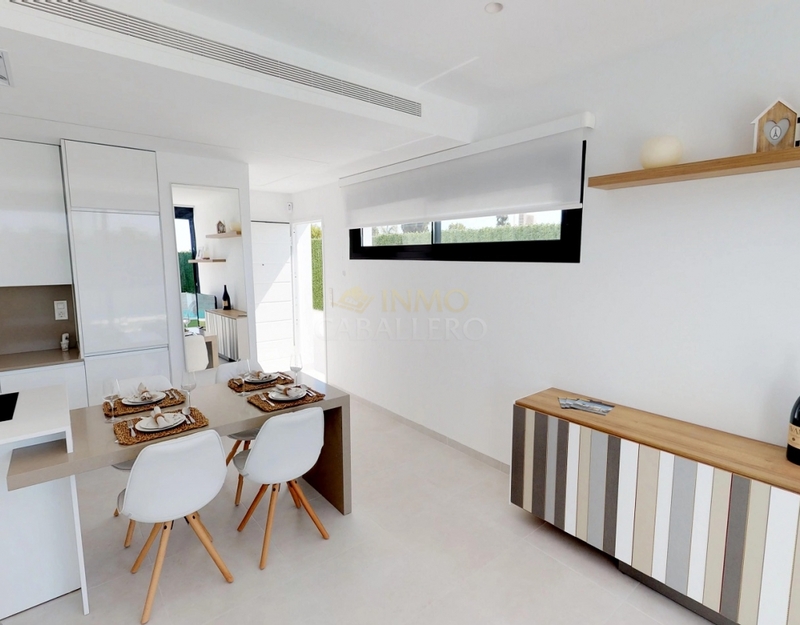 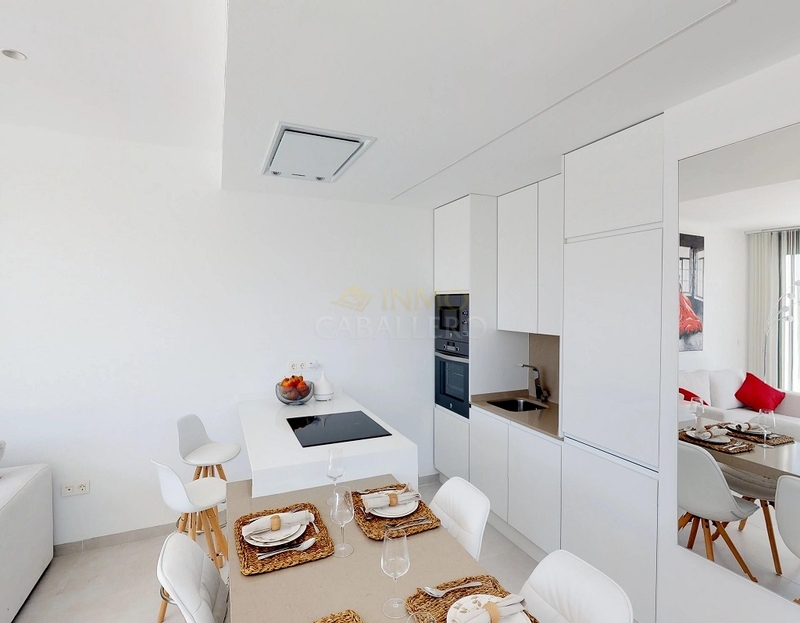 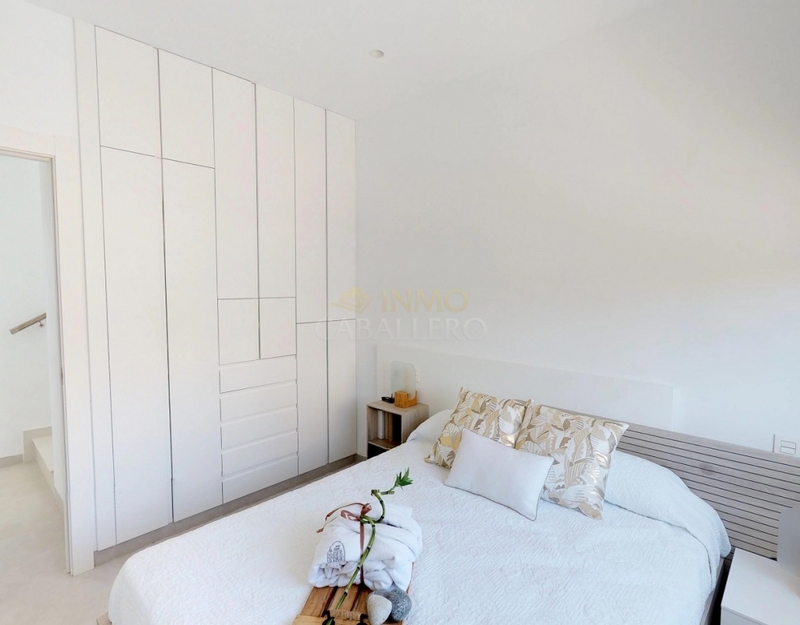 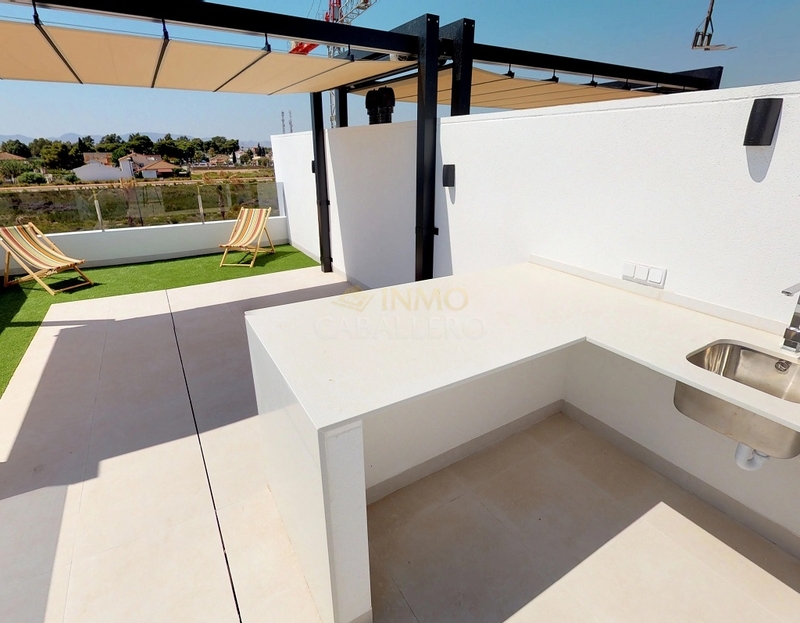 Upstairs: 2 double bedrooms, one with wardrobes and private terrace, 1 shower room, an outside staircase leading to the solarium where you will find a summer kitchen and you can enjoy an unobstructed view of the Mar Menor . 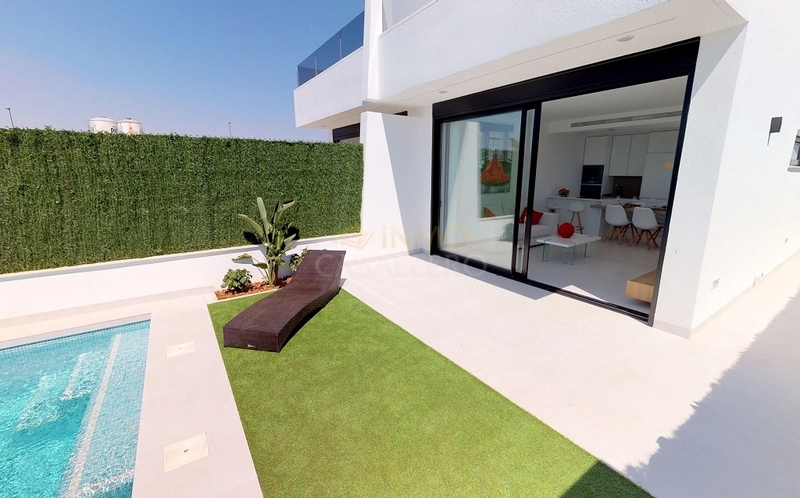 In the garden: a private pool of 6x3 with terrace and a parking space. 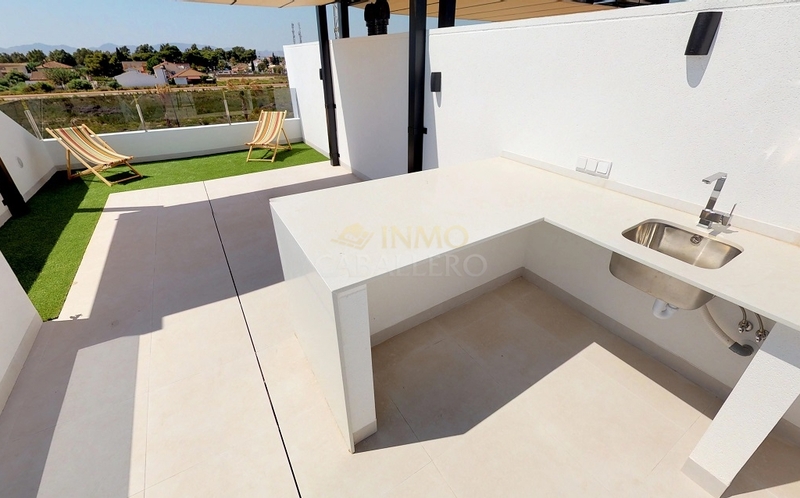 The house is sold with a pre installation of air conditioning, the kitchen is furnished with sink, extractor hood, hob and a stone worktop. 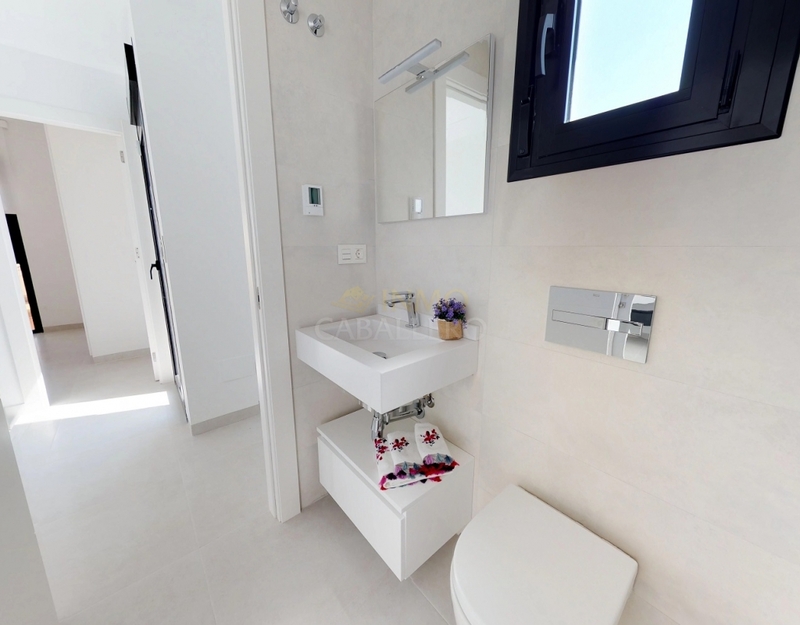 The shower rooms are equipped.